Let your Computer do the repeated Mouse Clicking with Windows Automation Software presented here. To Repeat Mouse Click, there are multiple software applications presented here which are basically Windows Automation Applications. Whether you wish to repeat Mouse Click at a Fixed Screen Location or a sequence of Mouse Clicks with time delay or anything else, the Automation Applications presented here are readily available to assist you. All the Software applications presented here works on almost all Windows Operating Systems like Windows 10, Windows 8.1, Windows 8, Windows 7, Windows Vista, Windows 2000, etc. In order to repeat Mouse Click, you need to tell the software which type of mouse click (Left Mouse Click, Middle Mouse Click, Right Mouse Click, Scroll Up, Scroll Down, etc) to repeat, how many times to repeat mouse clicks, whether to repeat a single Mouse Click or to repeat Multiple Mouse Click in a Script or whether you want to record a Macro containing Mouse Clicks and and then you want the Macro to playback and do the Mouse Clicking. 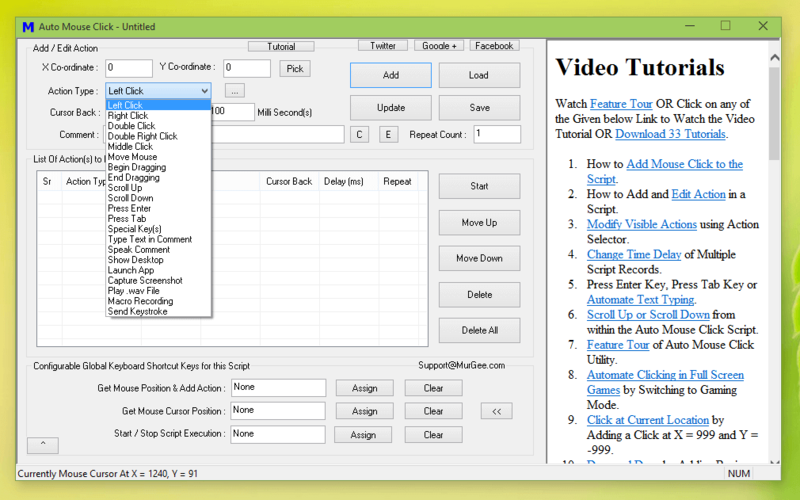 For repeating Mouse Clicks you can use Auto Mouse Click to create a script containing Mouse Clicks to be repeated and other types of human input fed to a Windows Computer as displayed in the screenshot above. This simple software allows you to create simple and yet advanced mouse clicking script which can be repeated multiple times or even infinite times until stopped. 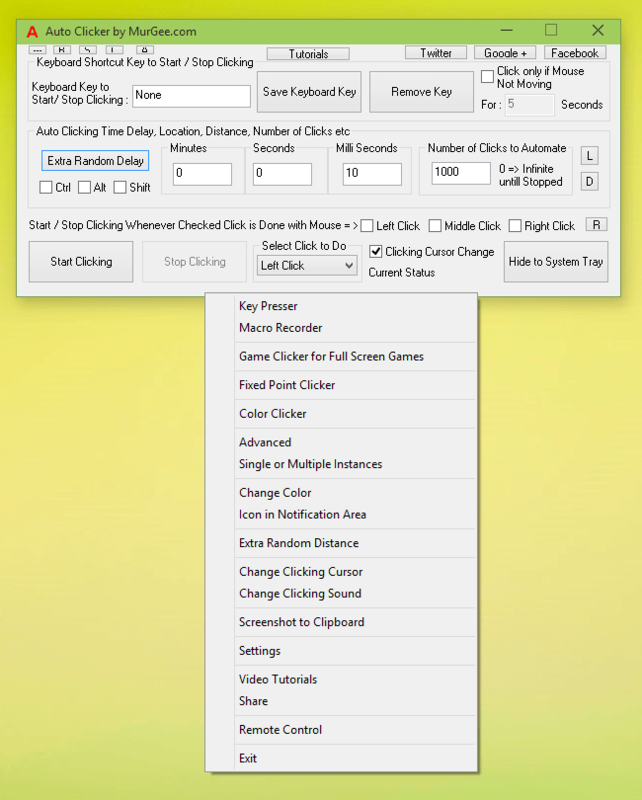 On the other hand if you need to repeat Mouse Clicks at a single location like Clicking Faster at Fixed Screen Location, Current Mouse Cursor Location or even at Random Screen Locations within a rectangular area, you can use another simple and yet advanced Mouse Clicker by using the Auto Clicker Software for Windows. Yes the Auto Clicker works on Windows 10, Windows 8.1, Windows 8, Windows 7 and other Microsoft Windows Operating Systems. 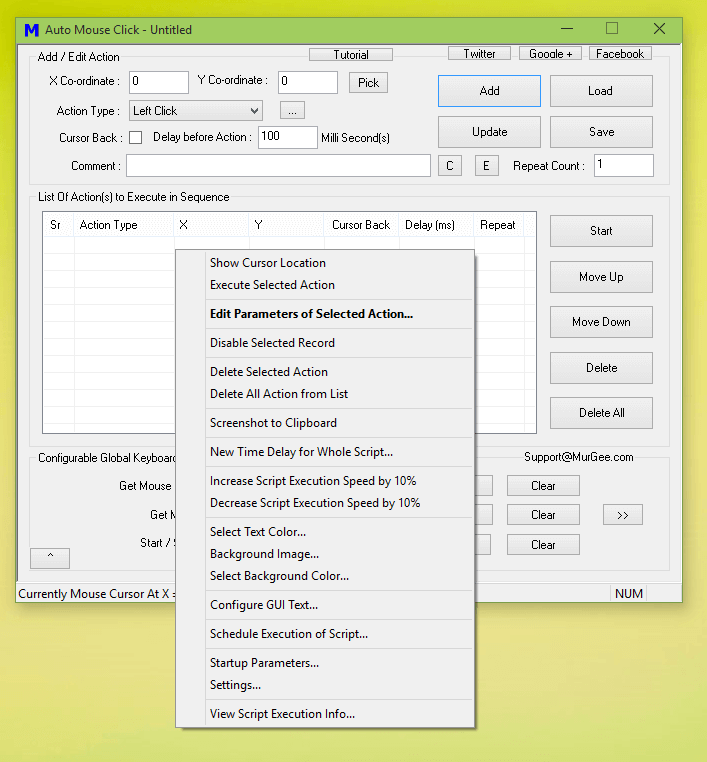 There are lots of Mouse Click Control features in this Windows Automation Software. 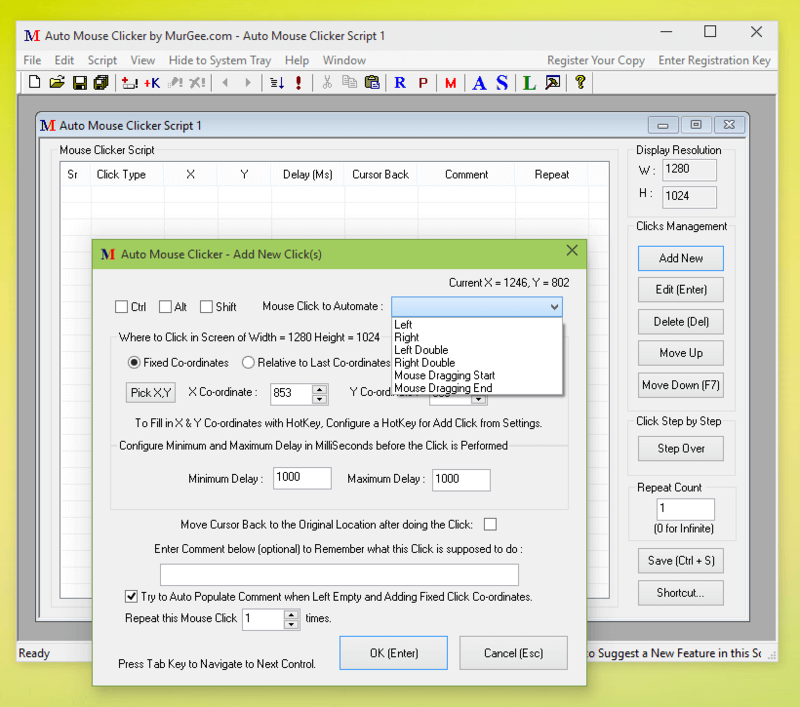 As evident from the screenshot above, there are multiple ways to control the repeat count of Mouse Clicks in Auto Clicker. You can define time delay between consecutive Automated Mouse Clicks in Minutes, Seconds, Milli Seconds and control the Number of Mouse Clicks to Repeat. The Automated Mouse Clicking can be started and stopped by using a Global Keyboard Shortcut, by physically pressing the any of the Mouse Buttons or even by clicking on the appropriate button on the software itself. This unique software allows you to fully control the screen location where the Automated Mouse Clicks are sent including Fixed Screen Co-Ordinates, Random Screen Location or at current Mouse Cursor Location. When you want to repeat Mouse Clicks along with Keystrokes, you can use the Auto Mouse Clicker Software as displayed in the screenshot above. With loads of tutorials, it just takes few minutes to understand and use this Mouse Clicking software. Apart from creating a Macro Script to repeat Mouse Clicks, you can use the inbuilt Macro Recorder to record and playback Mouse Clicks. When you task in hand needs more than just repeating Mouse Clicks, you can add Keystroke Automation to your Macro Script. The inbuilt Macro Editor of Auto Mouse Clicker is Mouse and Keyboard friendly with lots of Keyboard Shortcuts allowing you to create, edit and manage multiple Mouse Clicking Scripts. The last Software presented in this list of Windows Automation Software Applications to repeat Mouse Clicks is as displayed in the screenshot above. The Random Mouse Clicker is a one screen software and offers you to Repeat Mouse Clicks at configurable speed by assigning appropriate value to time delay between mouse clicks. 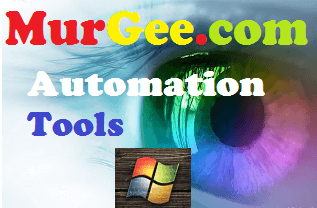 Just define a keyboard shortcut to start / stop Mouse Clicking, configure how many times you wish to repeat your Mouse Clicks when the configured keyboard shortcut is pressed and you are ready to go ahead and use this simple Windows Automation Software. 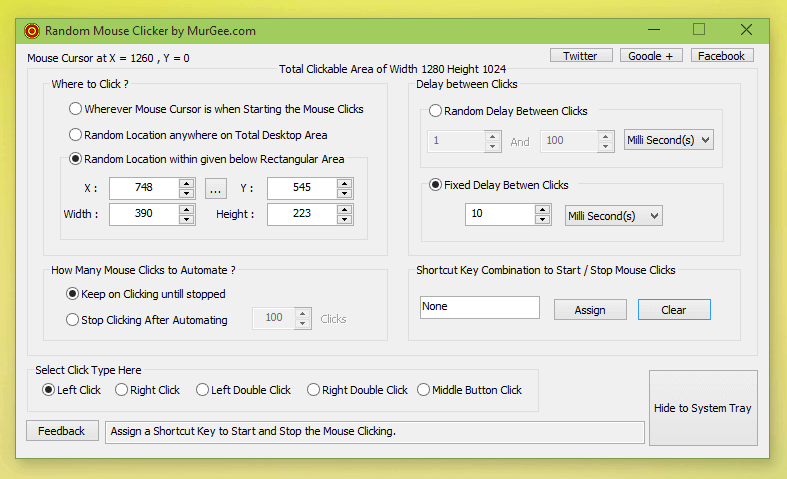 Repeating Mouse Clicks is now really simple, easy and fun to do with any of the above mentioned software applications. Download any of the above Windows Automation Applications above and try them for free. All of the above mentioned utilities use minimal computer resources. Yes all the above Software Applications do work on Windows 10, Windows 8.1, Windows 8, Windows 7, Windows Vista and even on Windows XP.